When it first launched in March, Sea of Thieves players didn’t think there was quite enough grog, peg-legs and other pirate content to fill up the game’s vast open world. Game developer Rare promised to fix the problem, and fix it they did. With a steady stream of free new content, Sea of Thieves has built its cross platform player-base up to 5 million players and counting! And with the release of a huge new update just days ago, now is a great time slap on your eye-patch, grab your parrot, and climb aboard. If you’ve ever dreamt of living the pirate life — and who hasn’t?? — then Sea of Thieves is a game you need to play. The life of a free-roaming treasure-hunting adventurer has been realized in this one-of-a-kind multiplayer experience. Buy it now (while it’s on sale) in our webstore. Alone or with some mates, you can explore a massive open world filled with action, adventure, and all the other pirate-y goodness you might imagine: like firing cannons, hoisting the sails, finding loot, and fighting (newly added) megalodons! But our favorite thing about Sea of Thieves is that this multiplayer world is not only shared (meaning that you can encounter other pirate crews on your adventures), but also cross-platform enabled between Xbox One and PC. And with 5 million players and counting, that means there are a lot of other peg-legged parrot owners out there ready to meet you. If you didn’t know, No Man’s Sky has proven to be one of the hottest titles of 2018; but it didn’t start out that way. After 2 years, the game has finally risen from the ashes of its content-lacking launch and has exploded with new players in recent weeks. This is all thanks to the consistent new content the game’s developers have been putting out, in particular the huge “NEXT” update. Although it took a particularly long time to improve its content, No Man’s Sky is a perfect example of the new “games as a service” format that has become increasingly popular. Diablo 3, Overwatch, and even our beloved Fortnite are all games that had rocky launches at first, but have since blown fans away with the awesome updates they’ve put out. The success of this type of game lies not only in its initial release, but also in its ability to consistently release quality content afterward. Sea of Thieves looks to follow the same path as these other service-type games, but at a much faster rate. 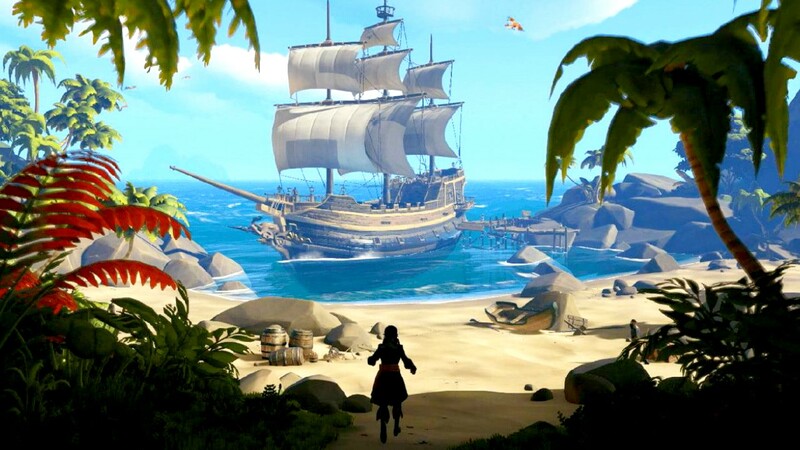 Hitting a milestone of 5 million players less than 5 months after release shows that the developers of Sea of Thieves have done more than just patch the holes in their leaky ship. 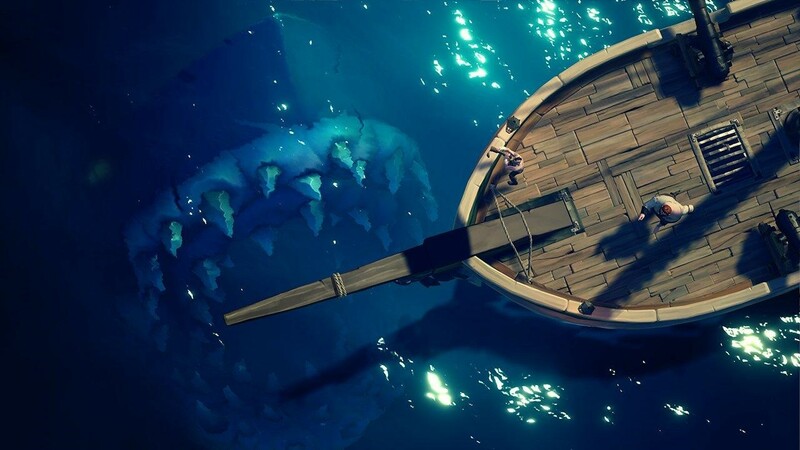 This release comes on the heels of Sea of Thieves’ last big update “The Hungering Deep”, which introduced players to a host of new features including vicious Megalodons– and Rare’s developers are not stopping there. 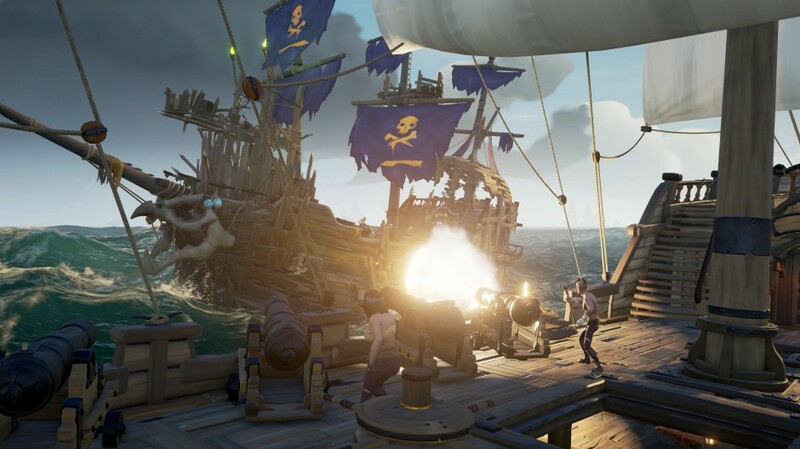 In fact, Mike Chapman (Sea of Thieves design director) revealed that there are actually 4 different developing teams concurrently creating new content like an assembly-line. Each team is working on their own new update, and they each take turns releasing what they’ve created (and then starting something new) in a sort of “leap-frog” fashion. What this means is that Rare is truly committed to keeping Sea of Thieves fresh, exciting, and expanding over the years to come. “I think the takeaway we want everyone to know is if you’ve got into to Sea of Thieves – we are fully committed to Sea of Thieves in the future….” Chapman told IGN. Forsaken Shores will make the already massive open world even larger by adding a new volcanic region called Devil’s Roar. Sounds spicy! More details will arrive soon, but I’m sure we can expect limited-time items, rewards, and cosmetics in addition to the new gameplay features. So hoist the sails, take to the seas, and live the pirate life you’ve always dreamed of! Buy Sea of Thieves on sale now in our webstore, get in on the action of Cursed Sails while it lasts, and prepare for Forsaken Shores (and more) soon after. And if you haven’t already, don’t forget to follow us on Twitter, Facebook, and Instagram!